Welcome to your new home nestled in one of AZ’s most desirable communities, McCormick Ranch. 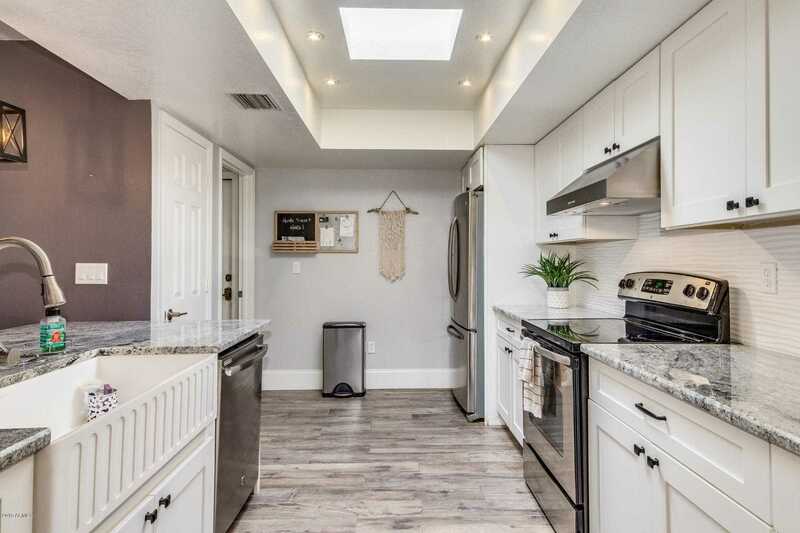 This beautifully maintained townhome boasts nearly 2000 sq ft of remodeled living space w/ 2 large bedrooms, 2 baths, split floor plan, 2 ac units & 2 car garage.Your new home was remodeled in 2016 w/ new wood plank tile flooring, new cabinets and countertops in kitchen and spare bathroom, new light and plumbing fixtures, new paint and soo much more! Don’t forget to check out the community heated pool & spa, lakeside walk & bike path. This home is move in ready and priced to sell so make time to view it today! Full floor update in 2016. Full kitchen update in 2016. Approximate size: 5724.00 sq. ft. Please, send me more information on this property: MLS# 5880353 – $430,000 – 7681 N Via De Platina --, Scottsdale, AZ 85258. I would like to schedule a private showing for this property: MLS# 5880353 – $430,000 – 7681 N Via De Platina --, Scottsdale, AZ 85258.